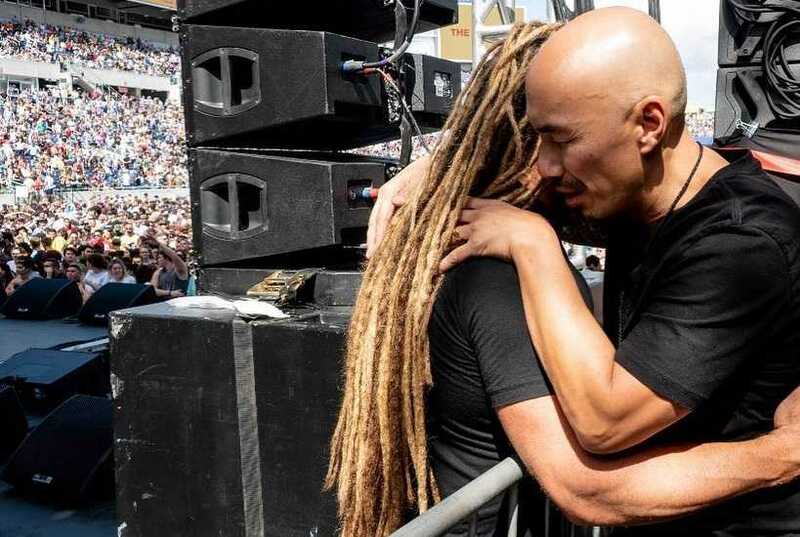 SAN FRANCISCO, Calif. — Speaker and author Francis Chan has responded to concerns surrounding photographs that recently surfaced of Chan with Todd White and Benny Hinn at “The Send,” whose practices and teachings are at odds with biblical orthodoxy. Chan advised that he will still attend “certain events” with the intention of being the “most effective” in bringing Bible teaching where it is lacking, but now with prior research and safeguards. However, Chan did not specify exactly how he plans to “warn and separate from” false teachers as noted in his response, or to “mark and avoid” them in accordance with the Scriptures, and what impact it will have, if any, on speaking at events where others preach another Christ and another gospel. As previously reported, some expressed concern last month after Todd White posted a photo of Chan embracing White in prayer at “The Send,” an event organized by Lou Engle (who knelt to kiss a Catholic leader’s shoe at Azusa 2016 as an act of “reconciliation”), and featuring speakers such as Benny Hinn, Bill Johnson of Bethel, and Mike Bickle of the International House of Prayer (IHOP). “A lover of God and devoted son. Francis Chan is an incredible man of God—loved his prayer over me at The Send,” White, who endorses Kenneth Copeland and the prosperity gospel, as well as uniting with the Roman Catholic Church (view videos here and here), wrote in part in sharing the photograph on social media. Another photo soon surfaced of Chan in a selfie with Benny Hinn. While Chan preached to the crowd that they can’t expect to be sent to the ends of the earth if they are not faithful with reaching the lost in their own neighborhood, some of the others who spoke delivered unorthodox messages. During one segment, White told those gathered that since Jesus had forgiven their sin, the diseases of the body from one’s poor choices before salvation—and the physical marks of the past—cannot remain as their removal is included in Christ’s redemption. Nearing the end of the event, Hinn, who was accompanied by his son-in-law Michael Koulianos, had those present yell “fire” at the count of three, at which point some in the stadium fell backward. On Saturday, Chan released a post simply entitled “A Response to Some Concerns.” In his message, Chan made several points: 1) that it hasn’t been his practice to research the other speakers attending the events 2) that he finds himself in a predicament when approached by others to take photos 3) but that he purposefully attends events where he disagrees with others so as to provide biblical teaching to attendees who might not obtain it otherwise. “It has not been my practice to ask who will share the platform with me and to research the other speakers. While some may be dear friends, there are many that I know little about,” he wrote. Chan also said that it is sometimes difficult to separate fact from fiction regarding spiritual figures when there are so many opinions online. Therefore, he has asked others to help him to arrive at the truth going forward. Where there is genuine concern, Chan said that he will personally address such teachers and call them to repentance. Simultaneously, Chan noted that while he declines approximately 90 percent of the 500 speaking invitations he receives each year, he purposefully selects events where others might have different beliefs as he wants to provide Bible teaching to the attendees who might not obtain it otherwise. “Often times, I decline because other speakers will be at the event who believe almost exactly what I believe. My reasoning is that it may be a waste of Kingdom resources for all of us to be there, speaking largely to people who already agree with us. It seems more effective to speak where there is less Bible teaching,” he wrote. One of those misunderstandings is being seen in photographs with concerning teachers. He said that when such persons approach him and ask for a selfie, he obliges so as not to be unkind, but at the same time, he does not want others to assume that he somehow supports the individual. He stated that he does not want to spend too much energy on researching false teachers, but acknowledges that it had not been a practice of his and that he will try to do more. Read Chan’s post in full here. 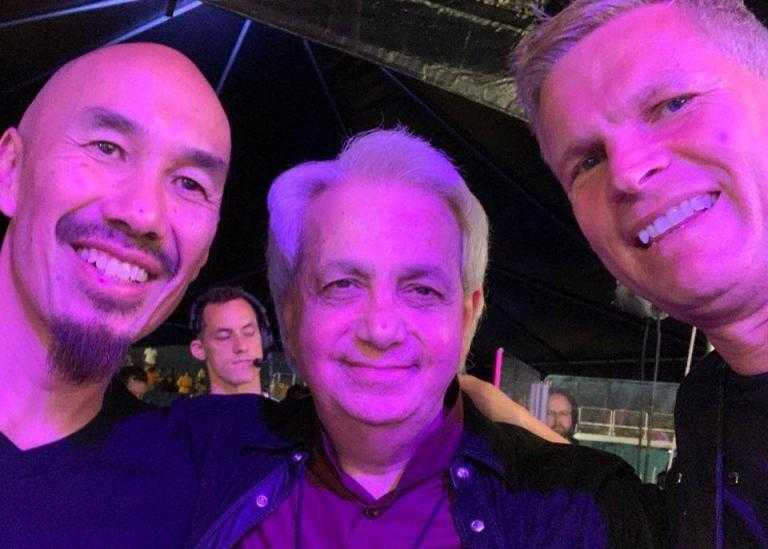 Others have disagreed with Chan’s strategy to speak at events where attendees might not otherwise hear sound teaching, including Benny Hinn’s nephew, Costi Hinn. Christian News Network again reached out to Crazy Love Ministries recently to inquire about his practices in light of concerns expressed by Christians, including how he views Biblical separation and the call to mark and avoid false prophets, whether he sees those following Roman Catholicism or the prosperity gospel as brothers in Christ, and why he does not first look into the details of the events he attends. His office advised that a public response to the concerns would be forthcoming. In his post on Saturday, Chan did specifically reaffirm his opposition to the prosperity gospel, and also stated that he believes “[i]f there is not repentance, I believe it is right to warn against false teachers and separate from them.” However, it is still not known where Chan stands on Roman Catholicism, or whether he considers those who promote unity between Christians and Catholics to be brothers, or what he specifically thinks of White and Hinn.